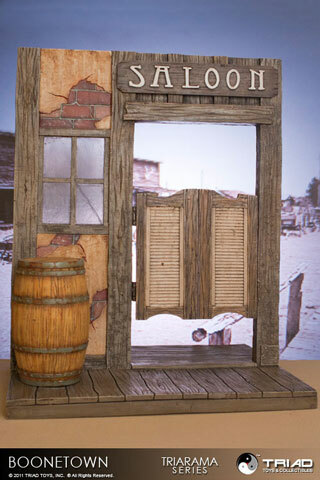 - Switch-out building signs to customize the display. 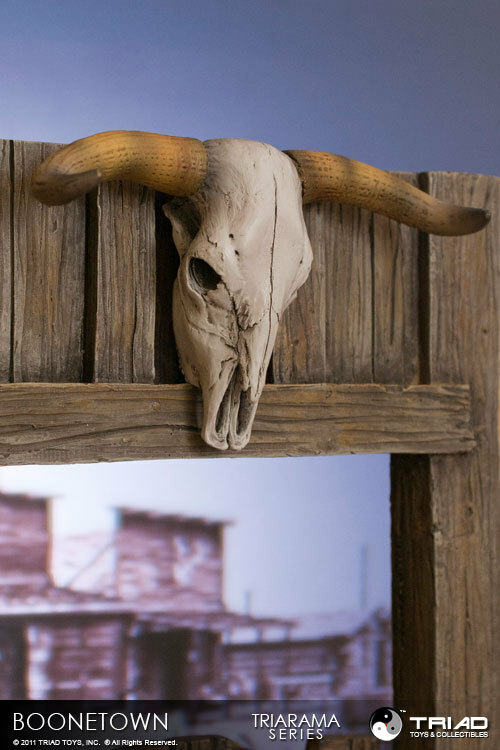 - Removable cow skull and wood barrel accessories. 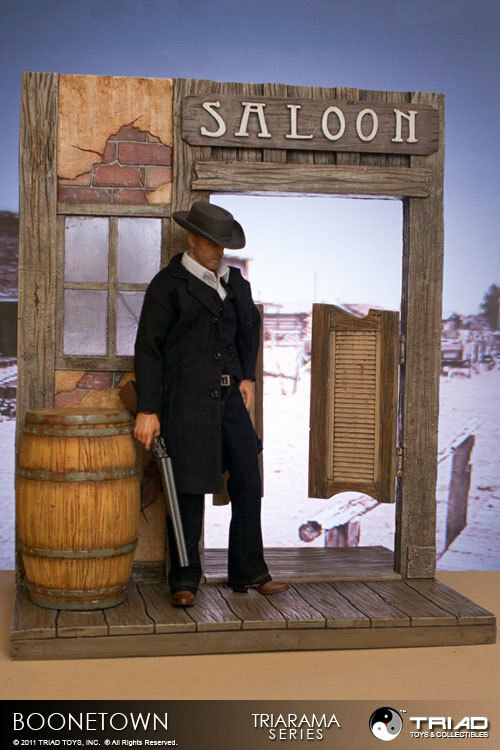 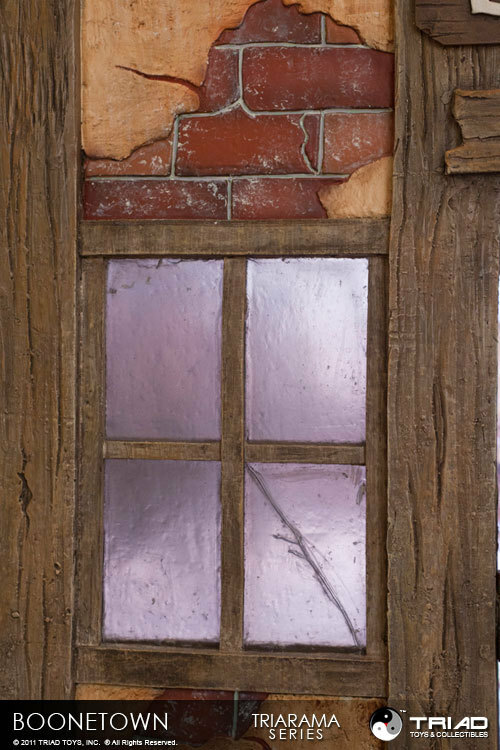 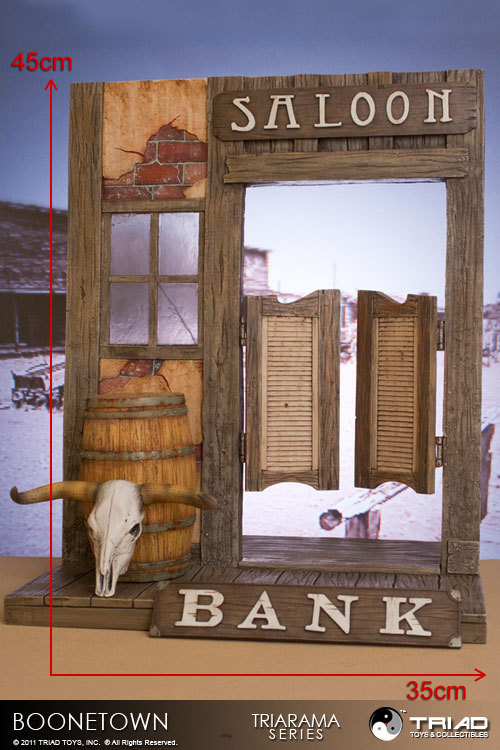 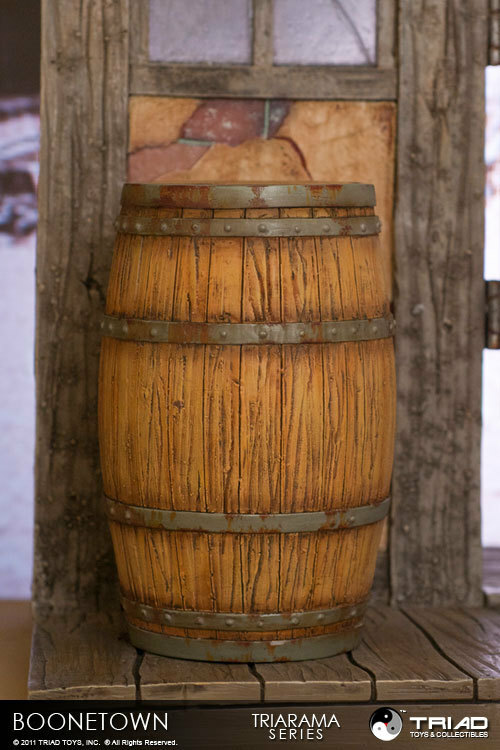 Each piece is hand-painted with detailed weathering to create the authentic look and feel of the Old West.